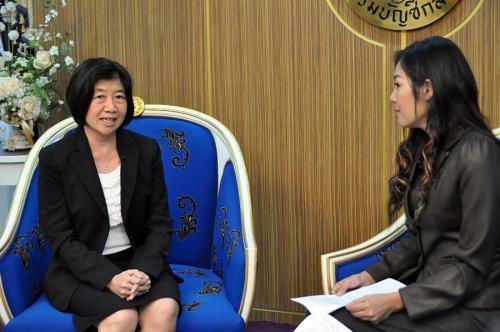 Miss Chunhajit Sangmai, the deputy director general of the Comptroller General?? 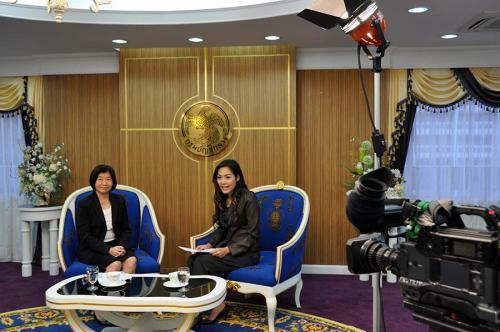 ?s Department, gave a special speech to the Station 5 TV Show in Station Talk section via Channel 5, focusing on the Health Care Policy in emergency case, at an executive lounge, 3rd Floor, the Comptroller General?? ?s Department, October 18 2013.